Spatial composition of sound for Wave Field Synthesis (WFS) system, which allows to compose with focused sound in space. Recomposed track from album Overlap . 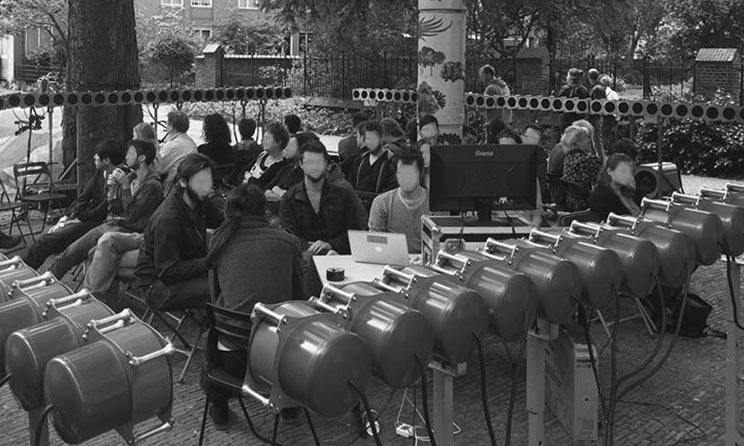 In collaboration with Donia Jourabchi (sound material) & Game of Life (WFS-system); presented at Festival Delft Uitgebeeld in Muziek, June 2015 [part of Hoorbare Herinneringen series]; project partners: Institute of Sonology & Delft in-Ovatie.